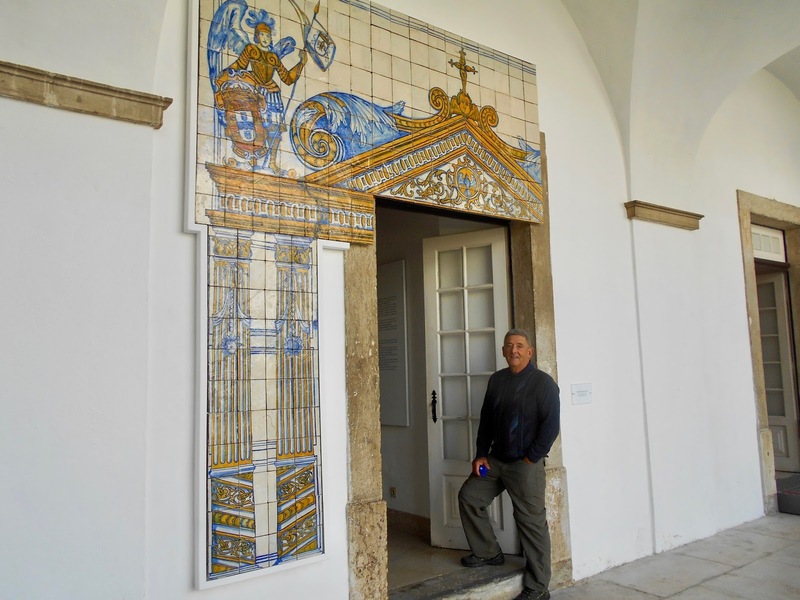 Our first visit to Portugal in 2015 introduced us to the beautiful tiles that adorn so many of this nation's buildings. 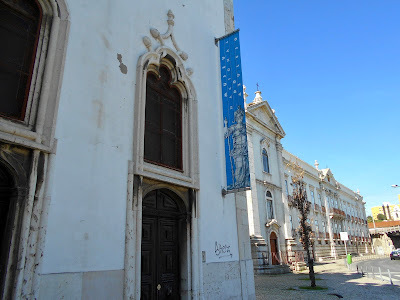 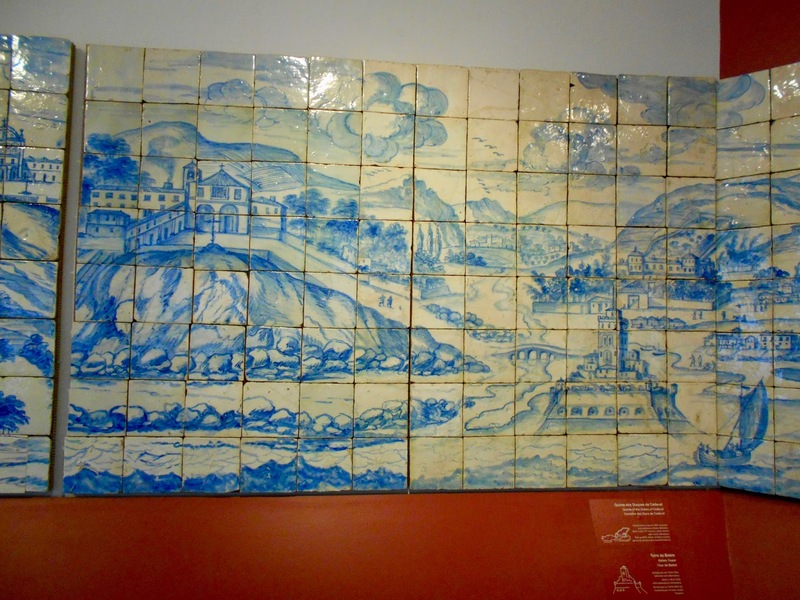 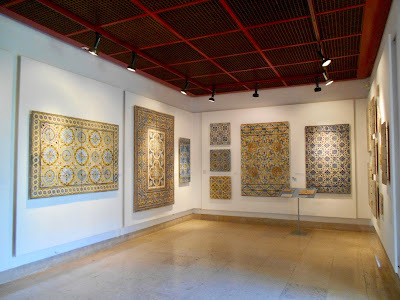 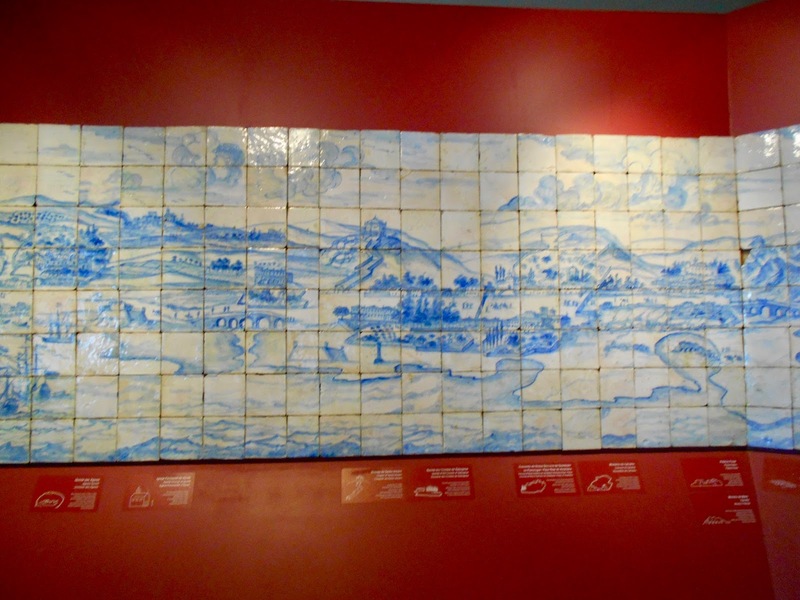 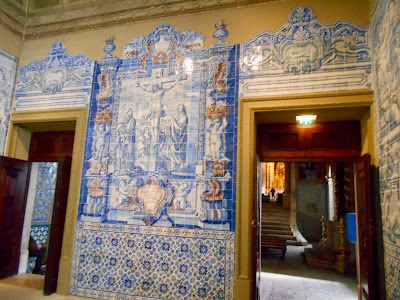 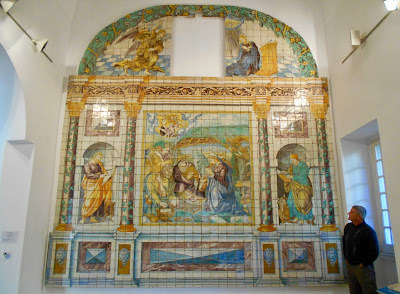 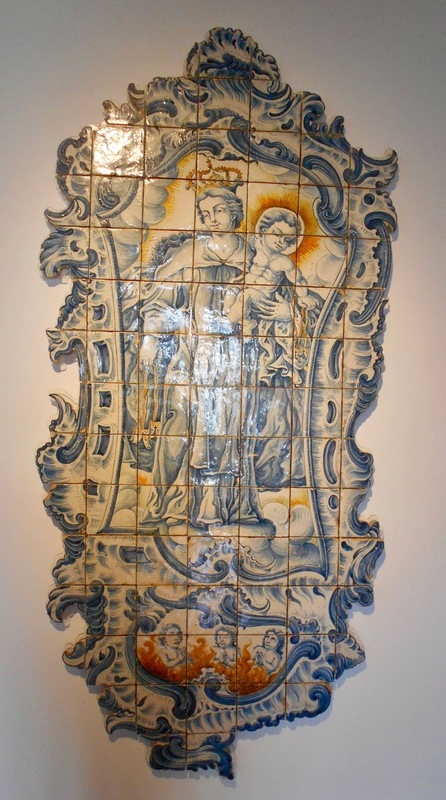 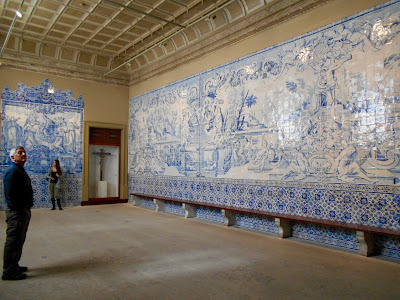 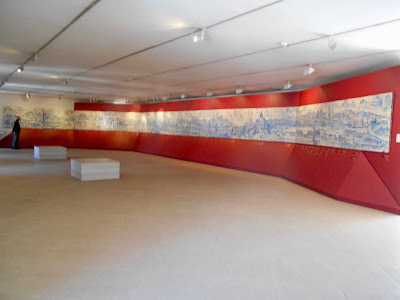 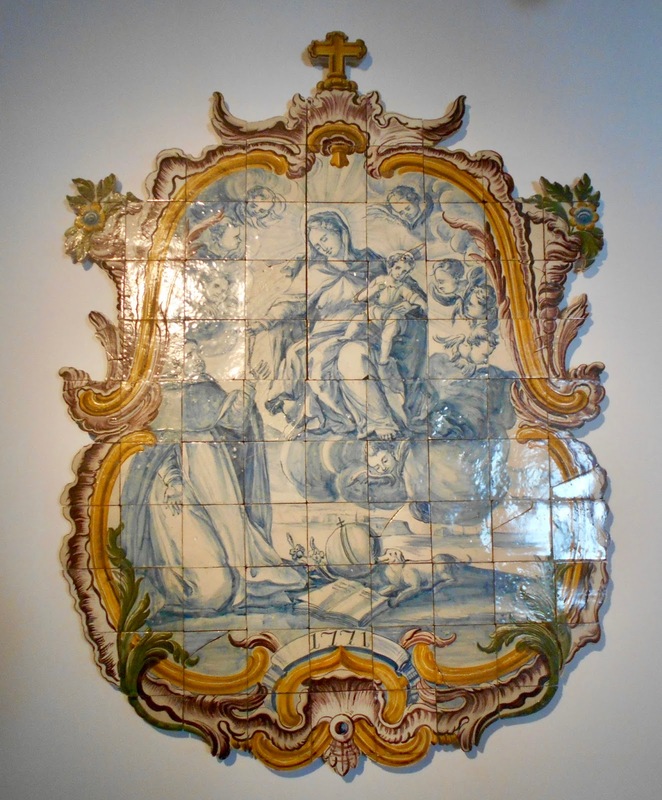 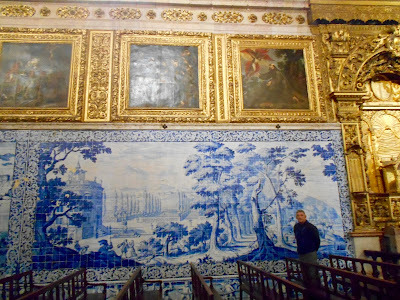 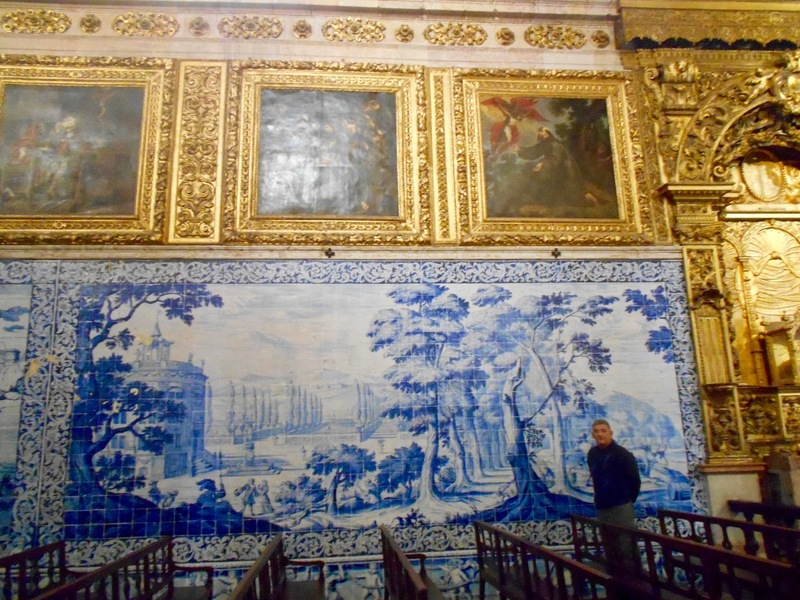 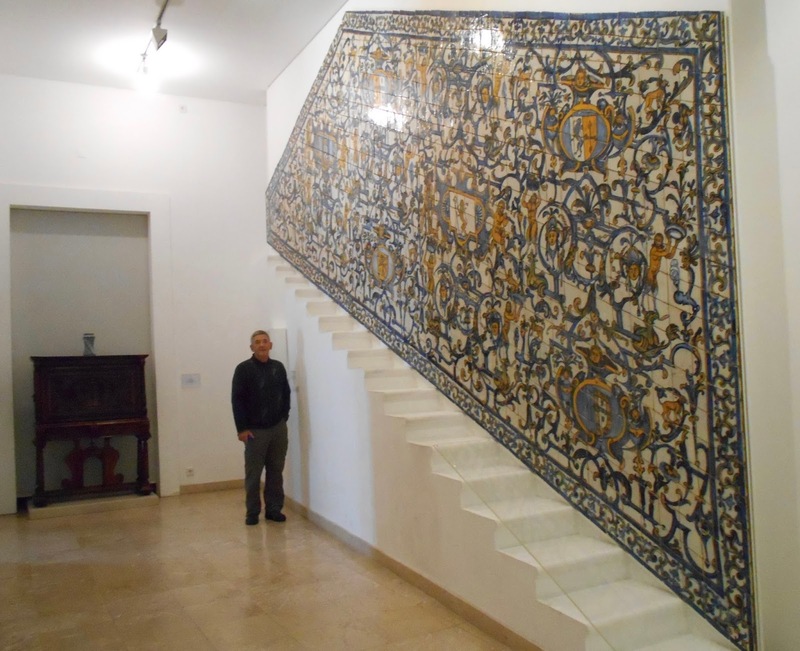 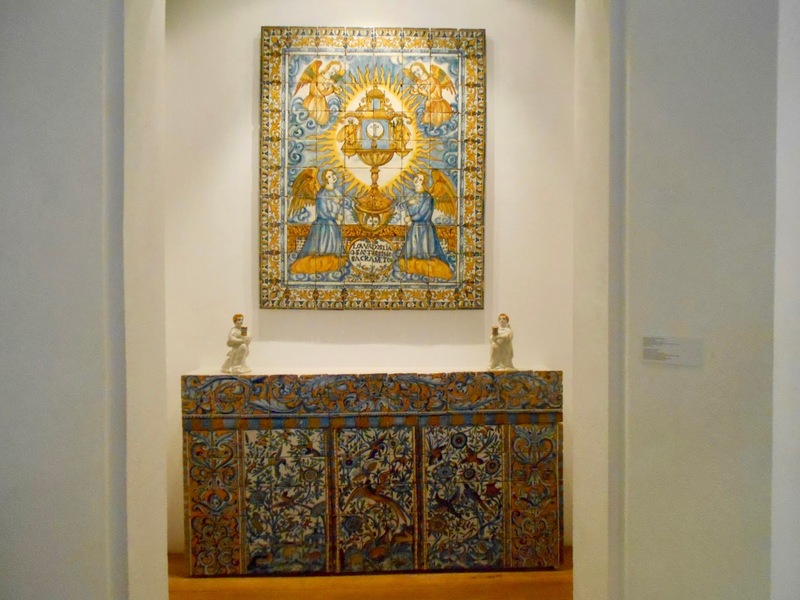 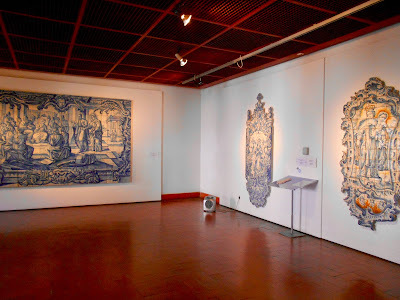 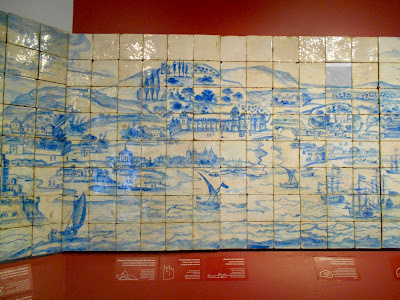 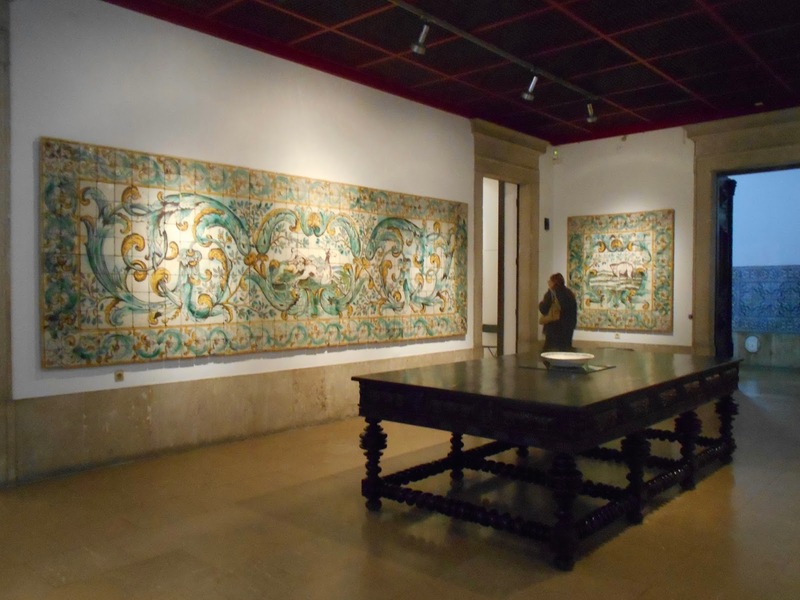 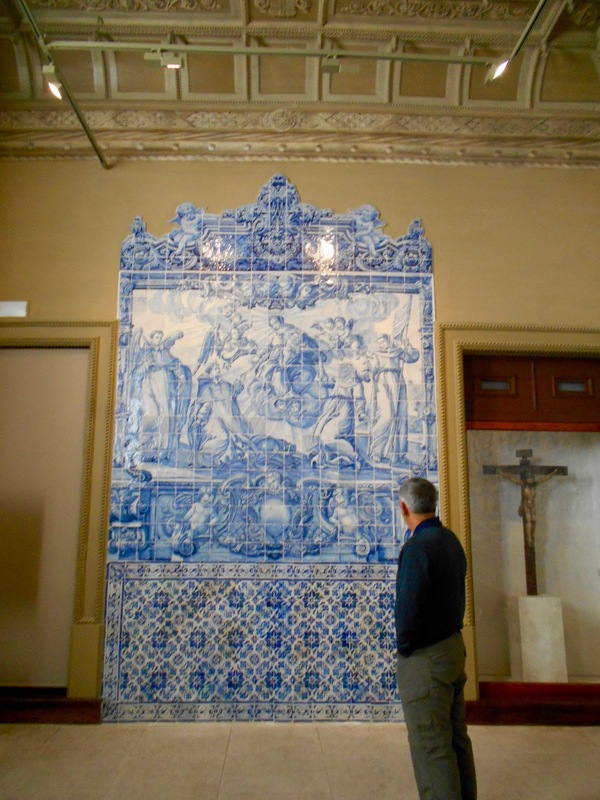 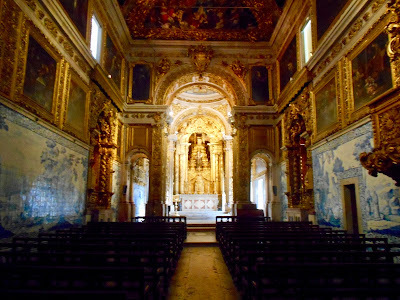 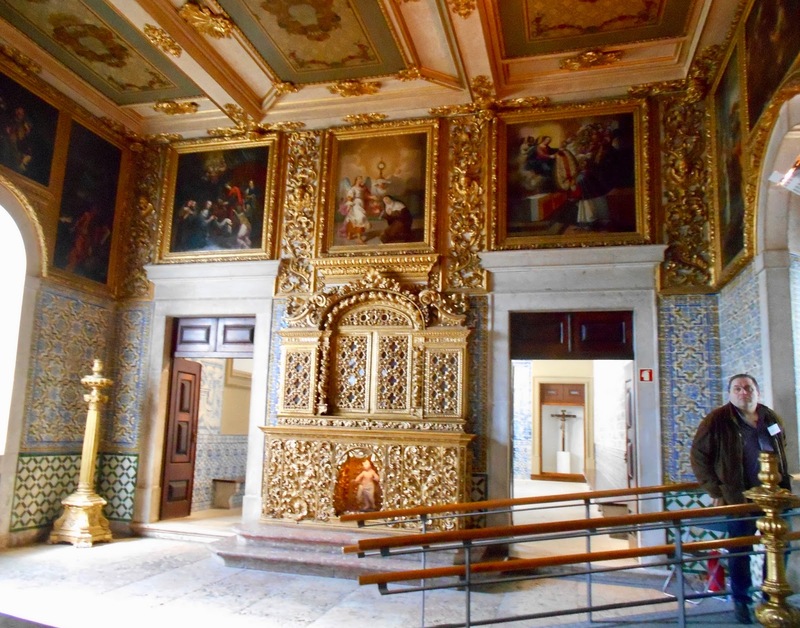 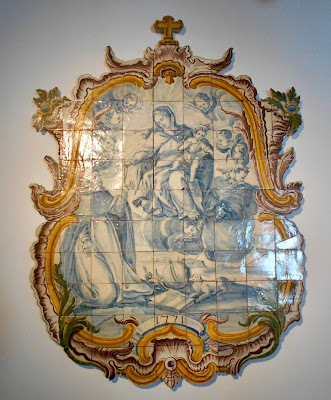 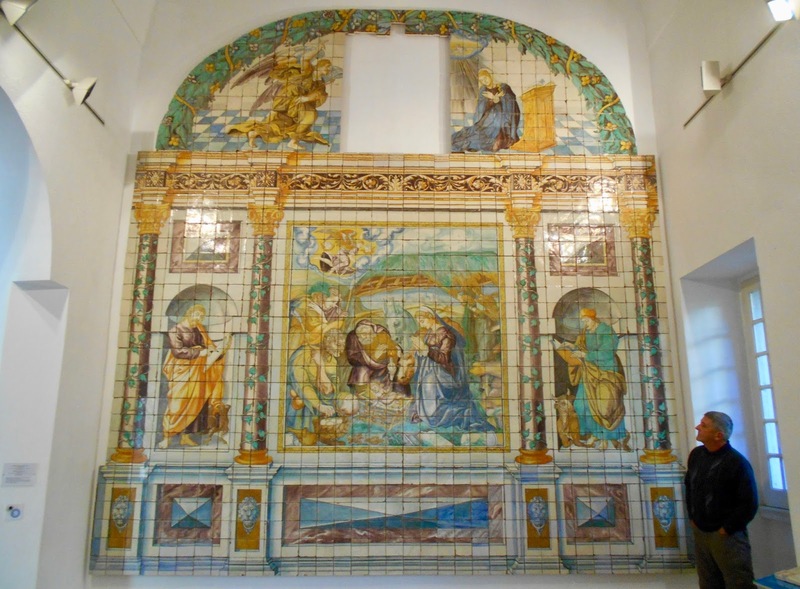 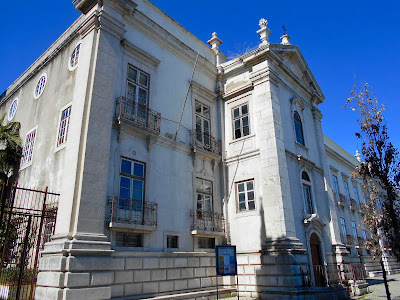 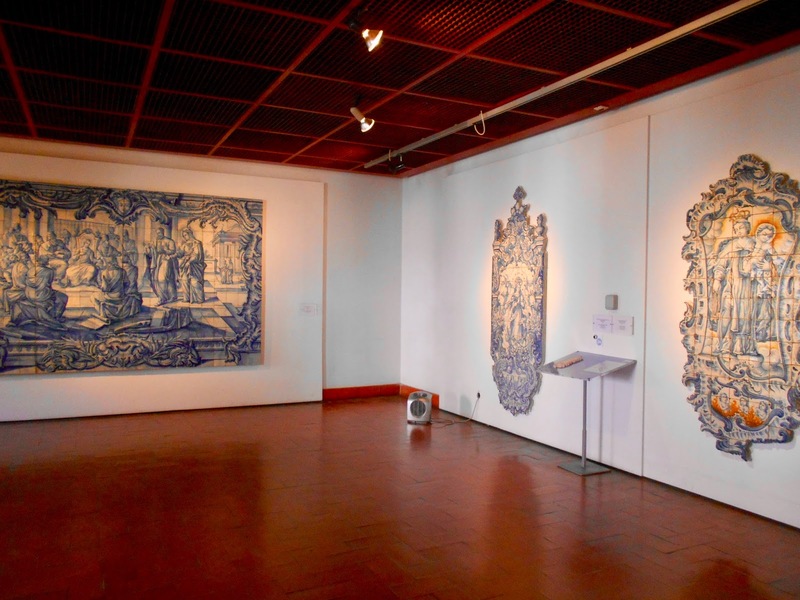 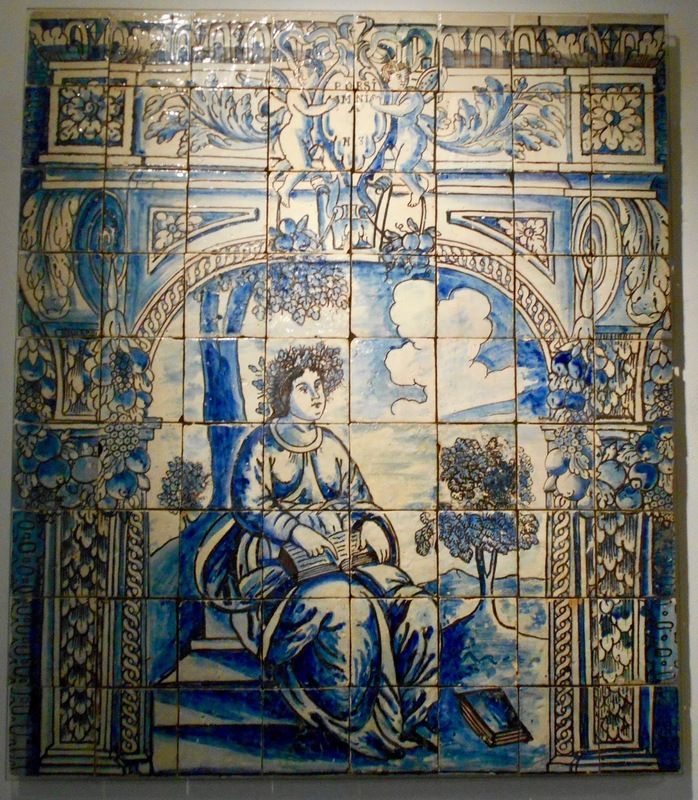 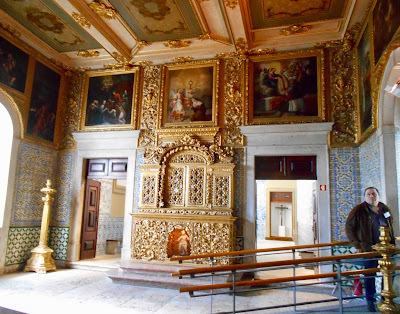 When we arrived back in Lisbon this month our first destination was the Museu Nacional do Azulejo (National Tile Museum). 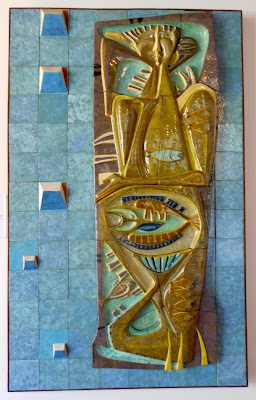 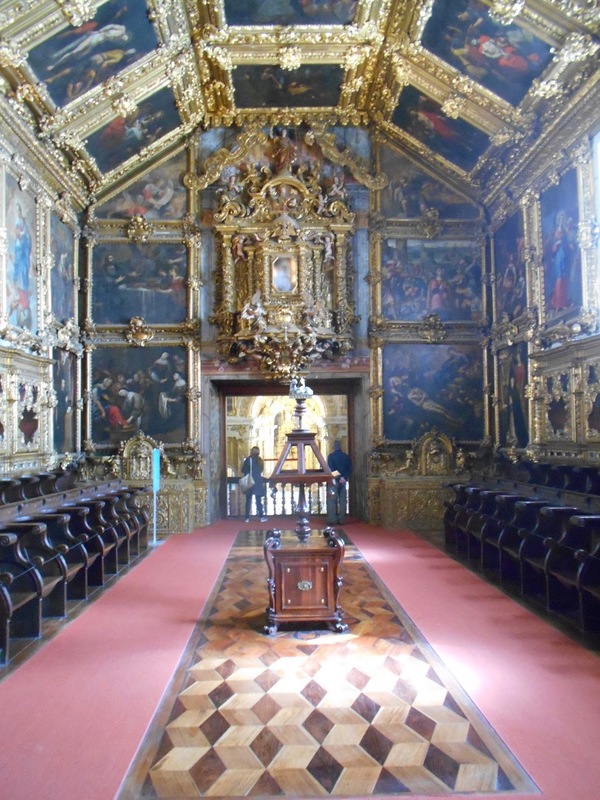 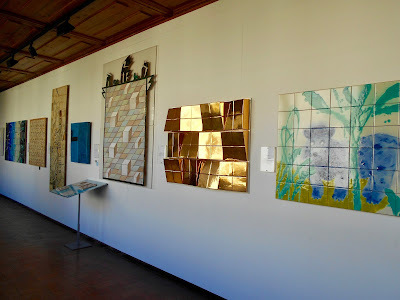 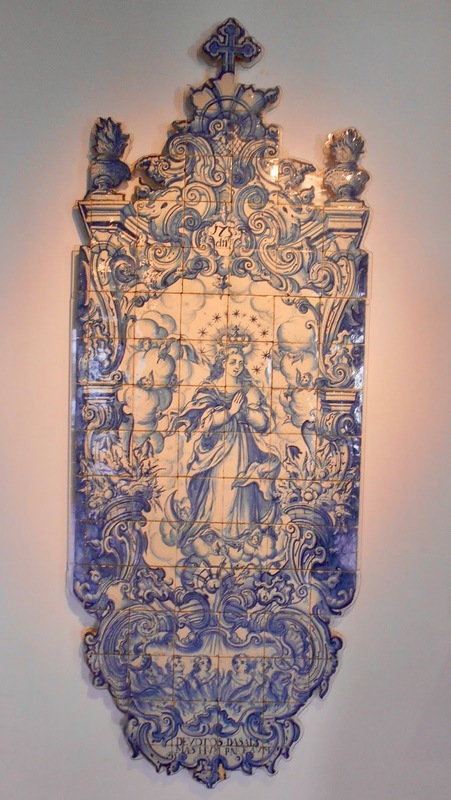 Housed in a former convent (Madre de Deus), the tile museum is as beautiful on the outside as it is inside. 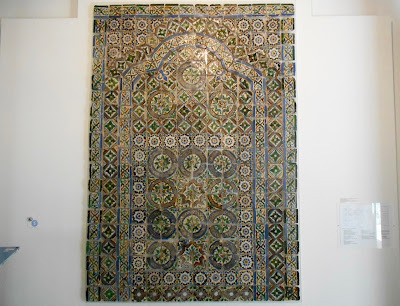 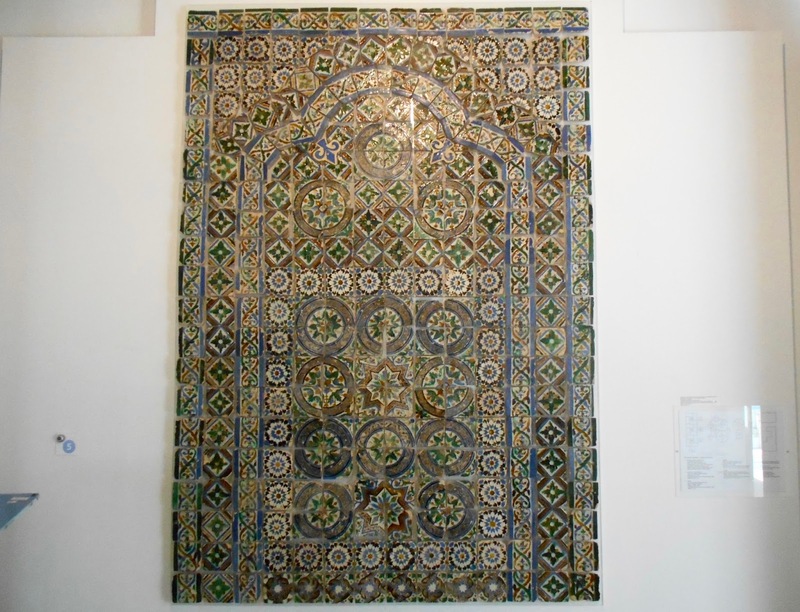 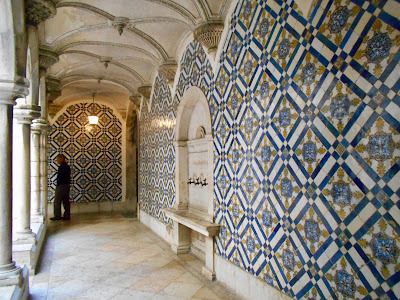 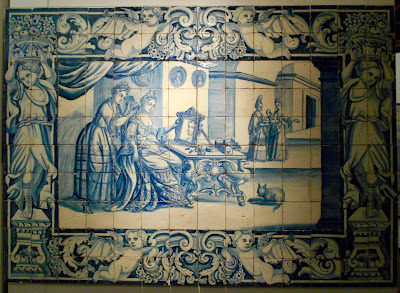 The Portuguese appreciation for tile began under the Moorish conquest when only geometric designs were allowed (based on religious beliefs). 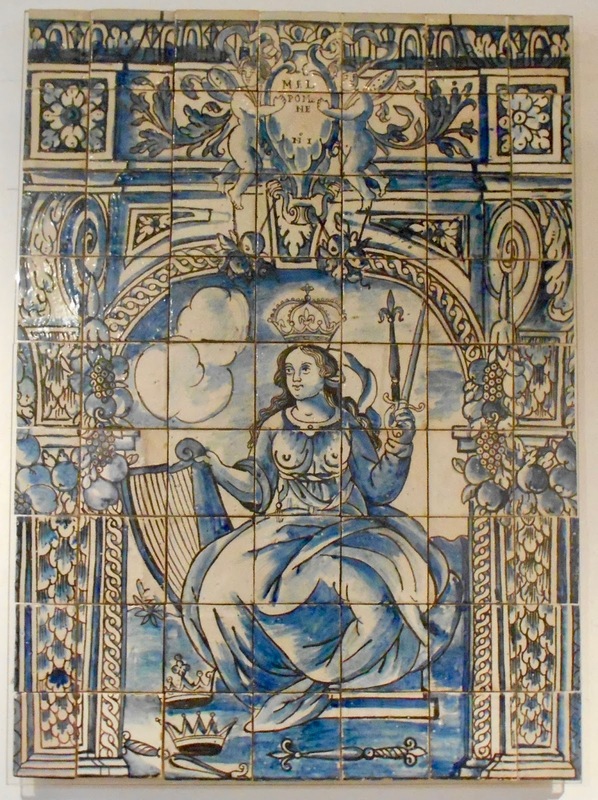 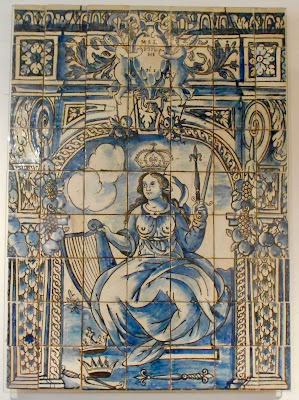 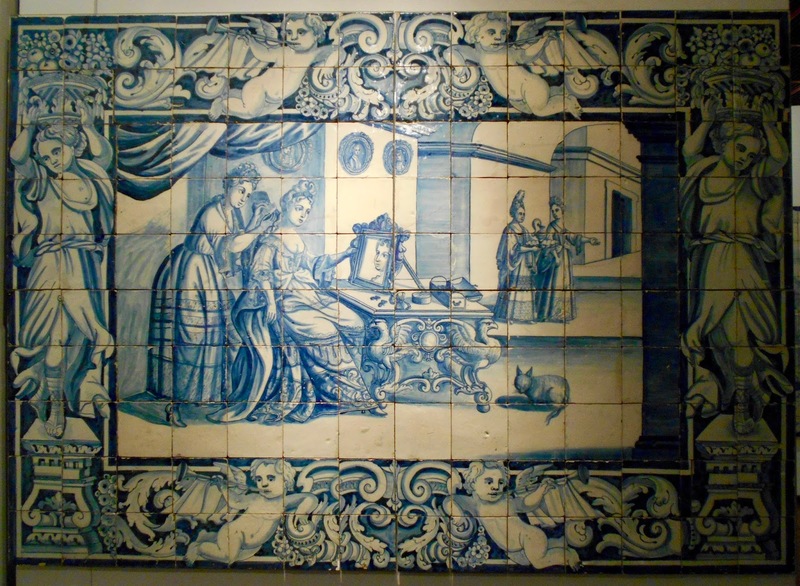 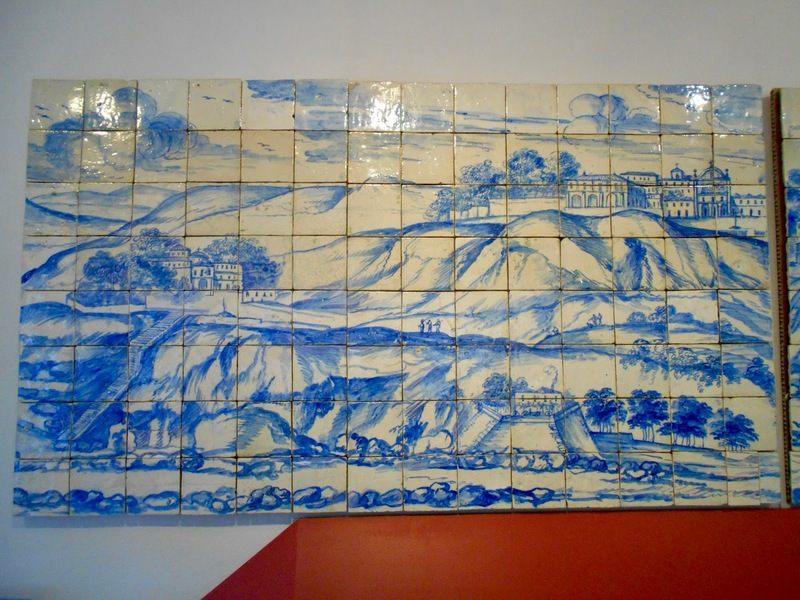 By the early 16th century the use of azulejo as wall revetment with humans portrayed alongside geometric designs became popular throughout the country. Every convent has a church. 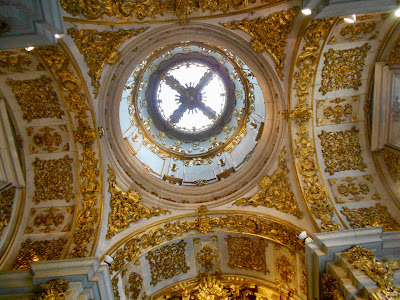 And oh, what a church this is. 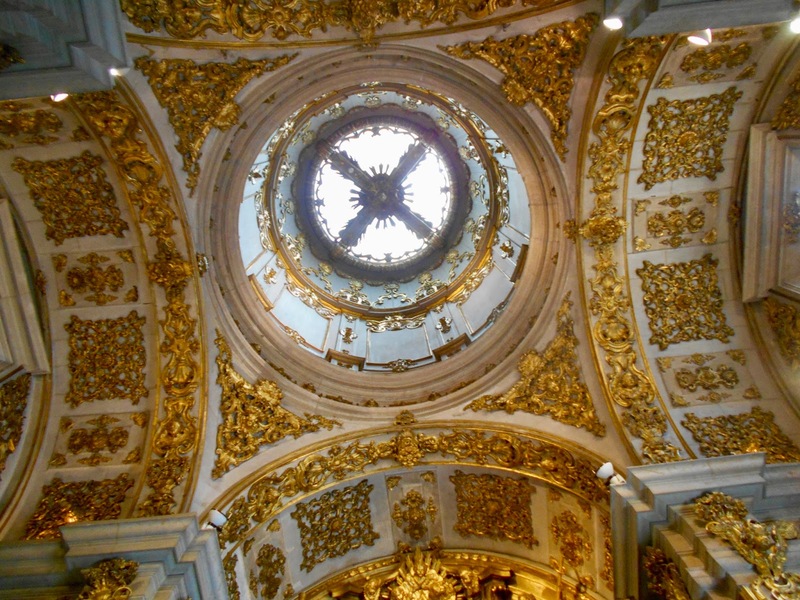 It literally took one's breath away. 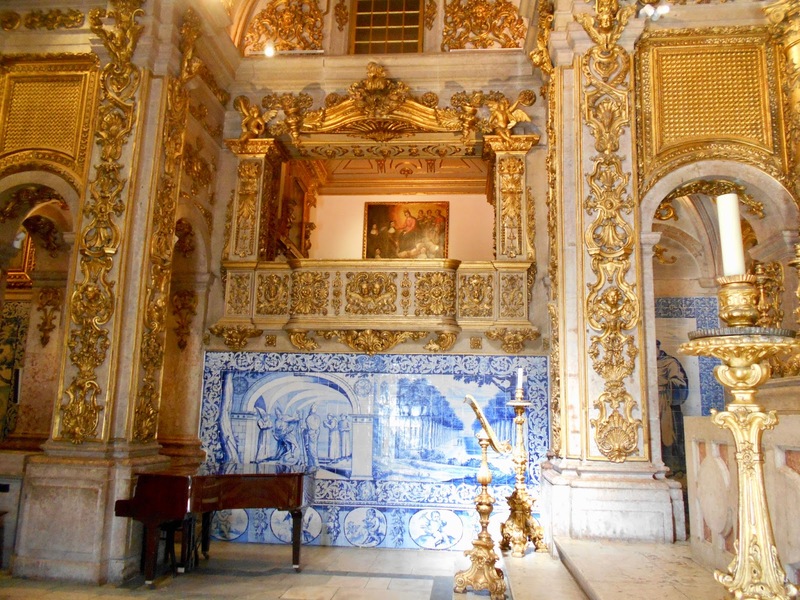 The cool blue and white of the tiles complements the warmth of the rich gold detail. 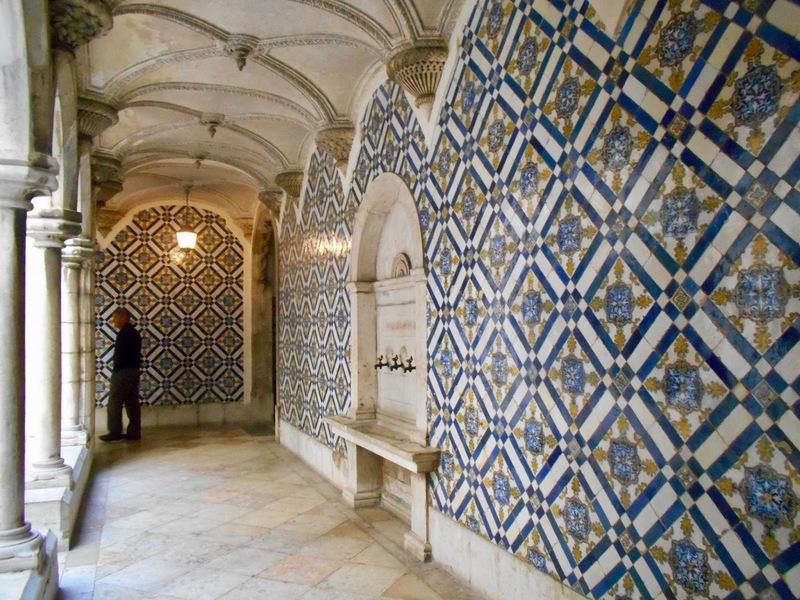 From the church we meandered through simpler rooms, but the tiles displayed are far from simplistic. On the upper level, above the church, is the choir room as well as a few others devoted to the everyday workings of the church. Returning downstairs to the ground floor is a visual delight. These next three wall panels pay homage to the muses Polimnia, Melpomene and Erato. 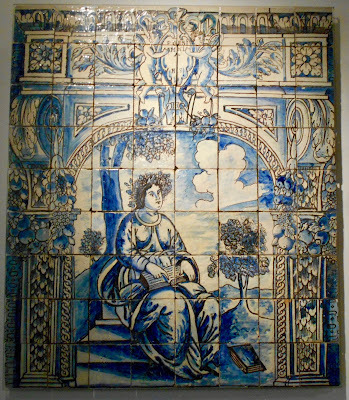 This panel "Lady at Her Dressing Table", 1700 - 1730, most likely adorned the wall of a lady's bedroom. This next series are one businessman's attempt to illustrate his success as a milliner as well as point out his humble beginnings. 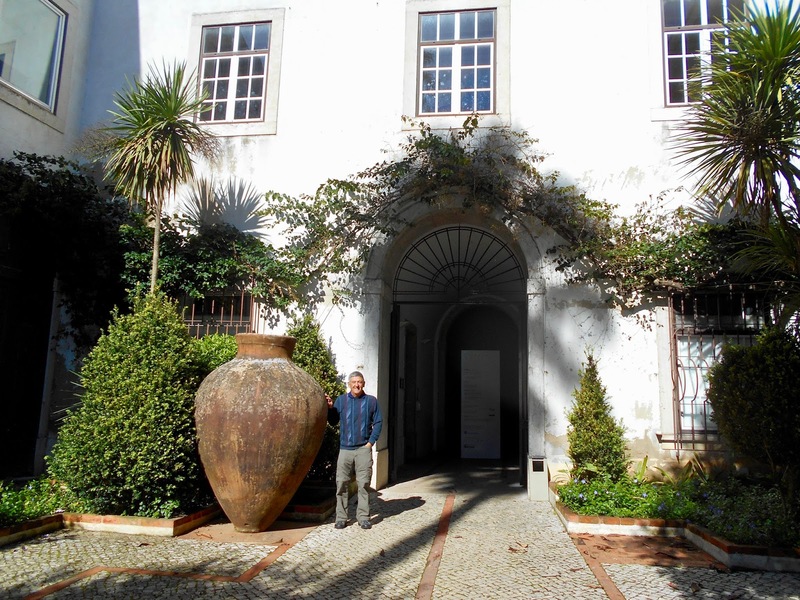 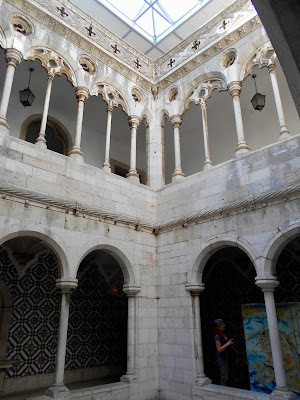 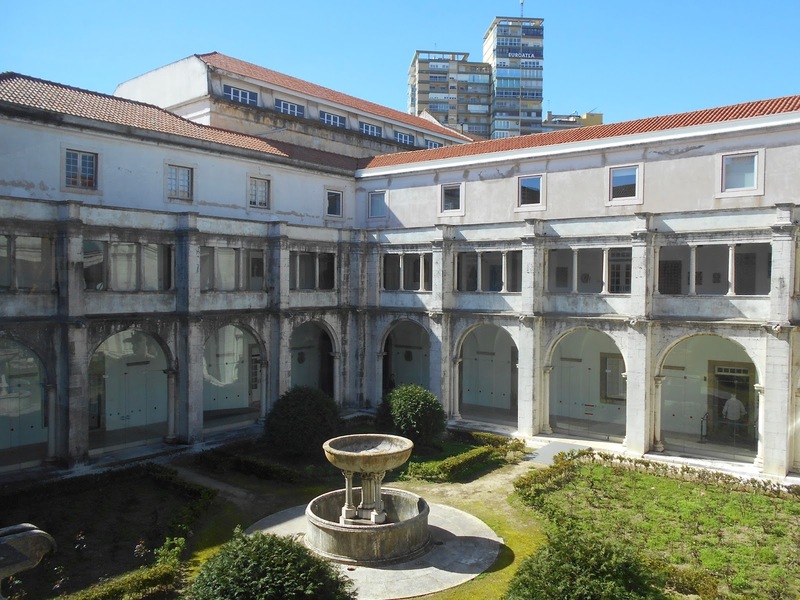 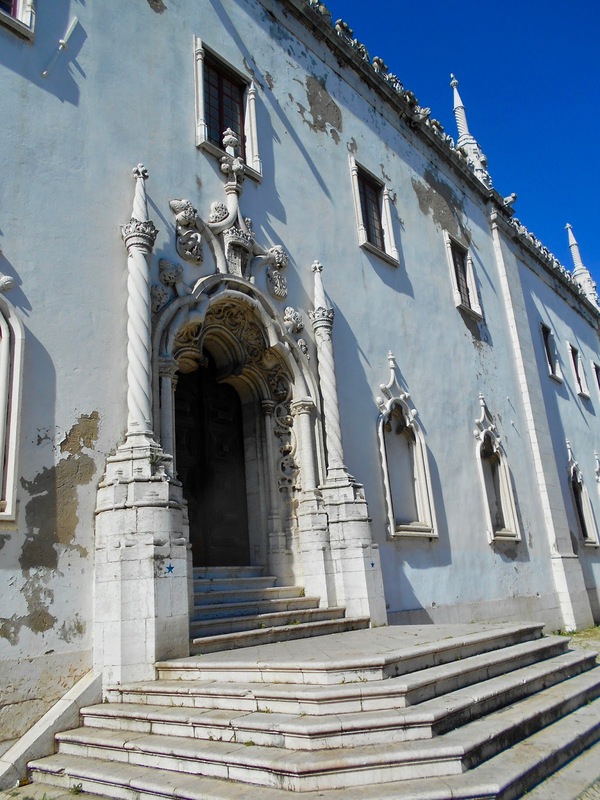 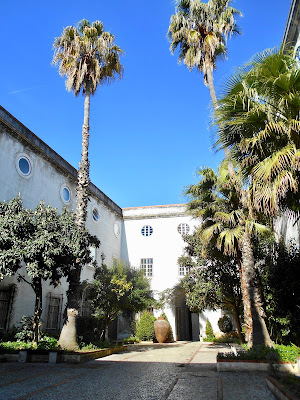 As with many Portuguese buildings the inner courtyard is a place of sanctuary while embracing the outdoors. I loved this next view from one courtyard, past the arched hallway into another outdoor space. 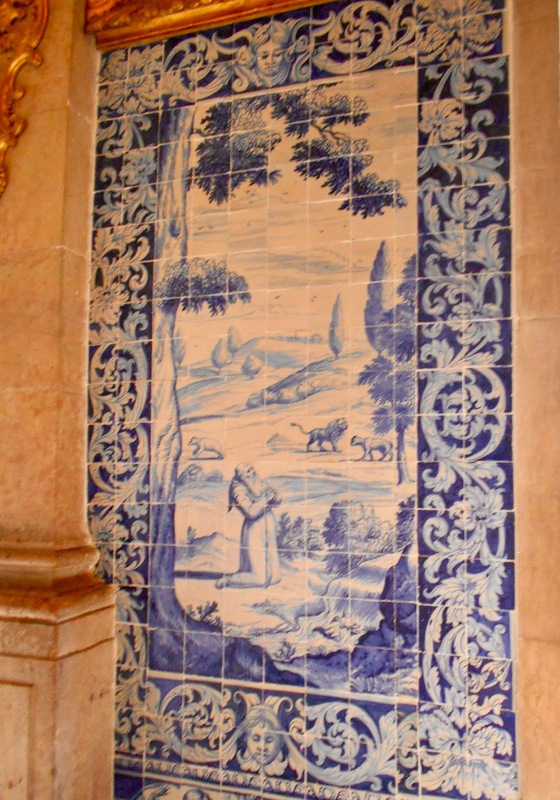 Everywhere one looked there are tiles from floor to ceiling. 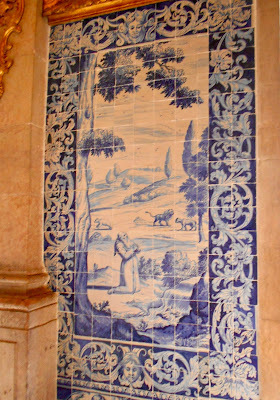 These decorative 'framed' tiles were some of my favourites. 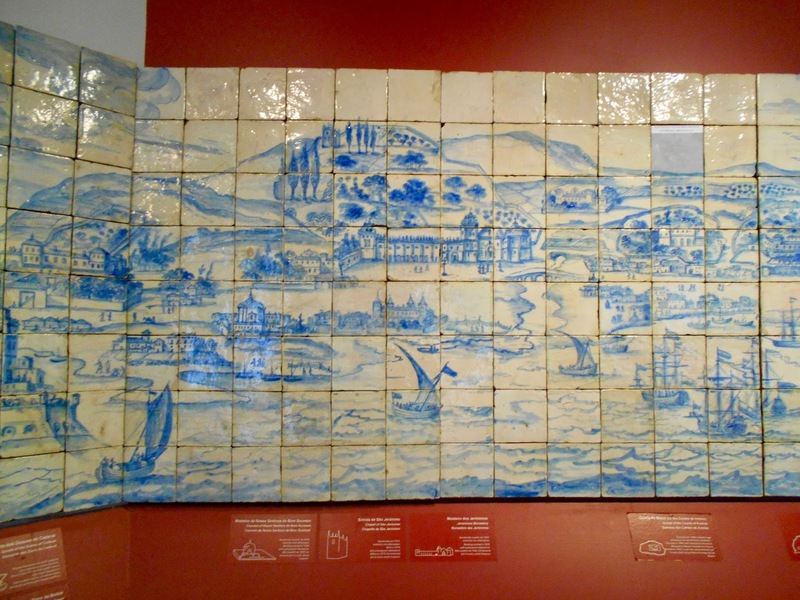 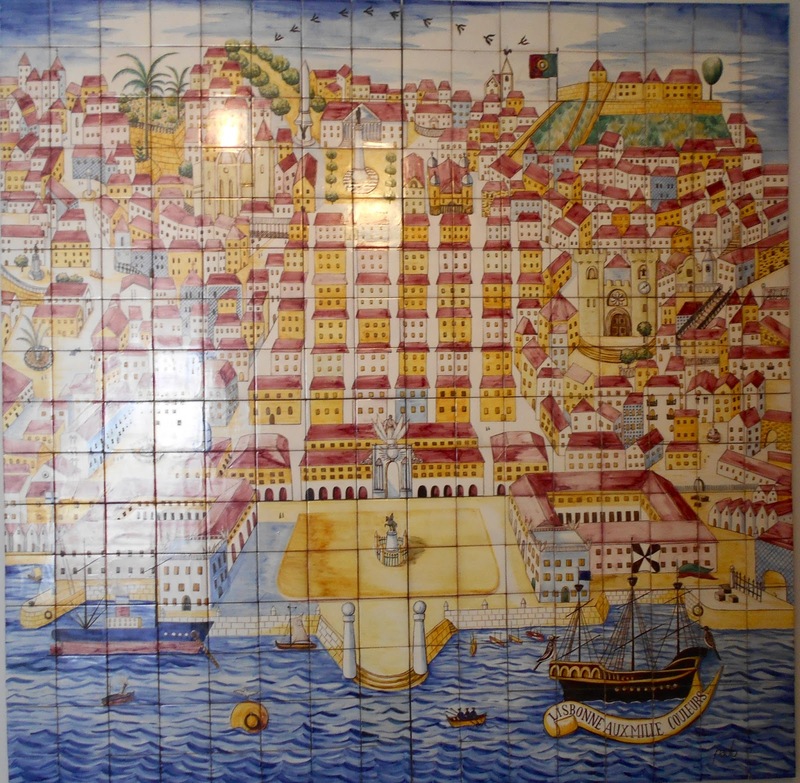 This second depiction of Lisbon is equally impressive in its size, colour and detail. 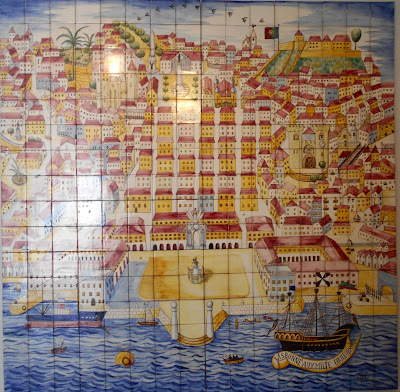 Note the Praca do Comercio (Commerce Square) at the bottom centre. Throughout the museum were life size 'portraits' of soldiers and other dignitaries. 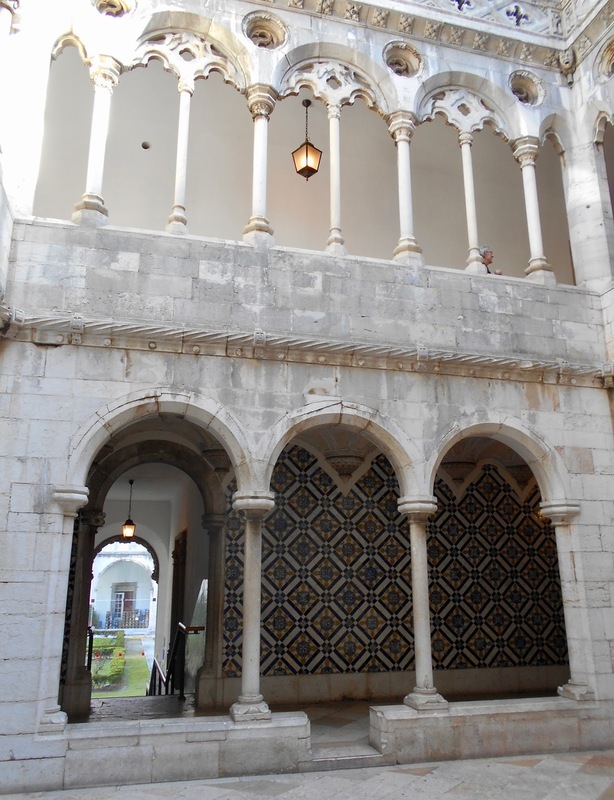 A man and woman (visible through the square doorway) also explained which side is which re toilets! 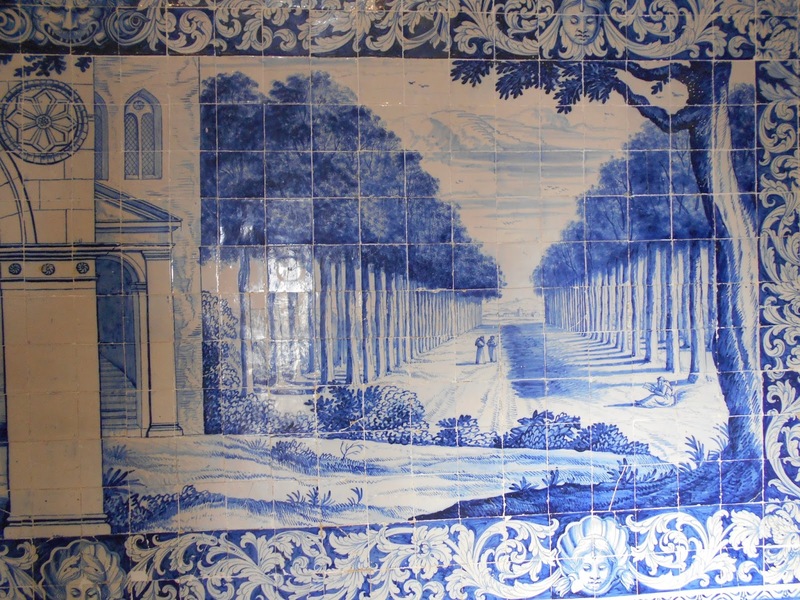 The traditional of Portuguese tiles is a strong influence for modern tile artists and this hallways is dedicated to their contributions. One of the unexpected highlights of the museum is its restaurant. 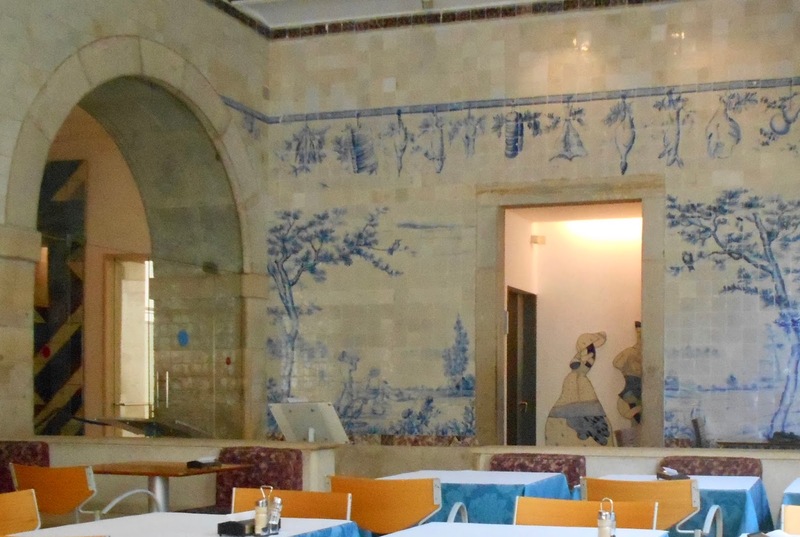 Simply delicious fare! 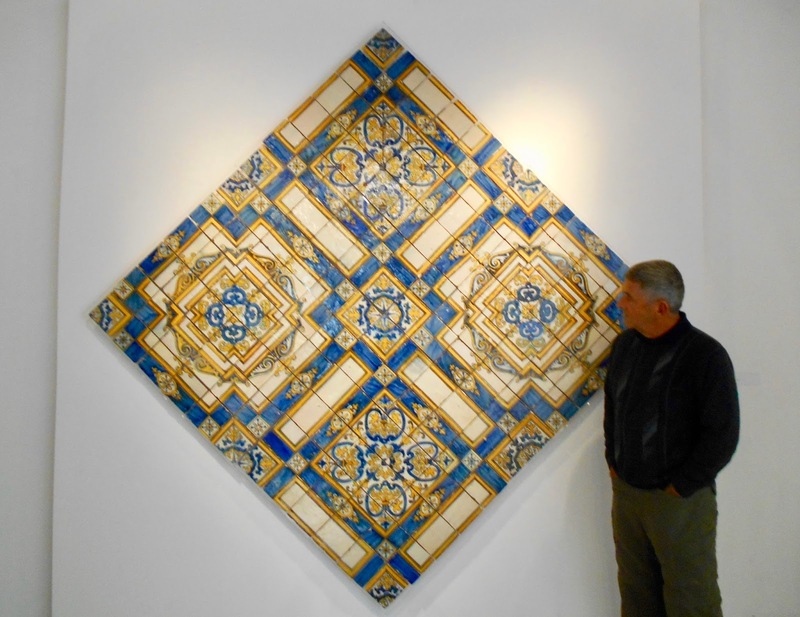 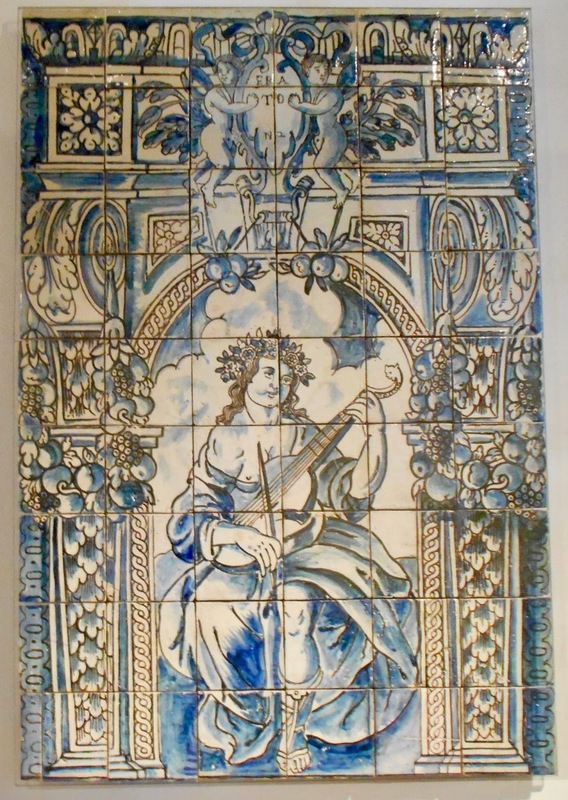 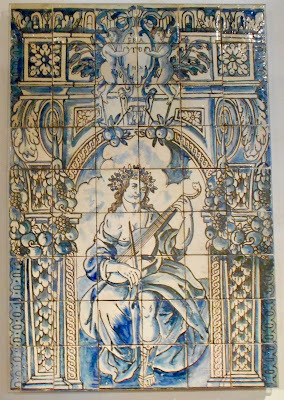 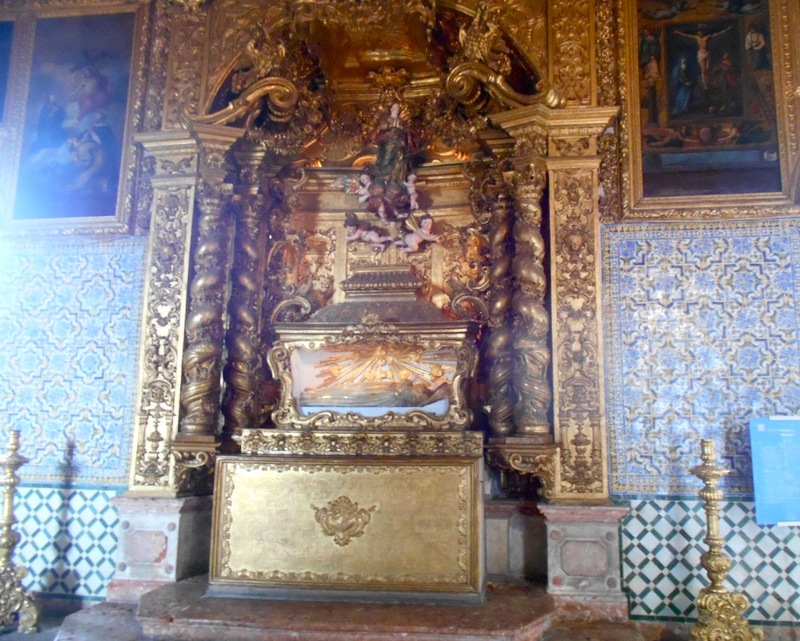 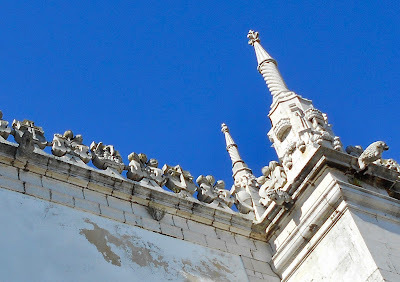 A lovely day, a delicious meal and an incredible homage to Portuguese azulejo.